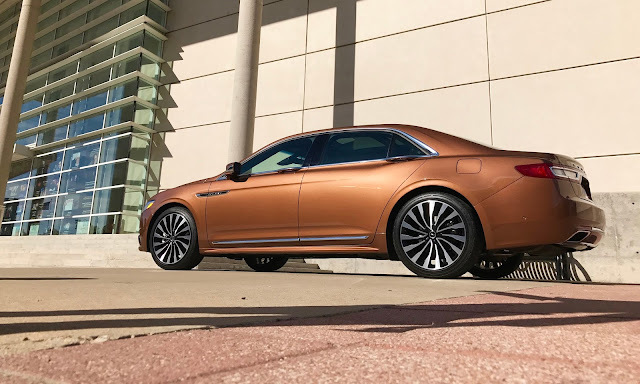 Recently, The Lincoln Motor Company invited me to spend the afternoon with their team to have an up-close-and-personal experience with the all NEW Lincoln Continental. The Lincoln Continental has had a starring role in many Hollywood films, pop culture and in political circles. Elvis Presley drove one around Memphis, in “The Godfather,” Sonny Corleone was assassinated in one as he drove one up to the Long Beach causeway toll booth and it was the car that shuttled US presidents around Washington and the world. Retired in 2002, the automobile brand synonymous with luxury has been brought back by Lincoln for 2017 as its top-of-the-line sedan. A driver picked me up mid-morning to allow me to sit in the back seat and enjoy the rear-seat amenities: audio and climate control, reclining seats, a side window shade and a chauffeur button that moves the front passenger seat forward. This first touchpoint with the Continental tied in nicely with a new service Lincoln has recently launched called Pickup and Delivery. It's part of a larger initiative known as The Lincoln Way. Need an oil change or regular maintenance service? They will meet you wherever you are (home, office, Northpark Center, Dallas Zoo...), provide you with a complimentary Lincoln loaner, then return the serviced vehicle to you at the destination of your choice. No fuss, no muss, no wasting time driving back and forth and waiting. I like it. 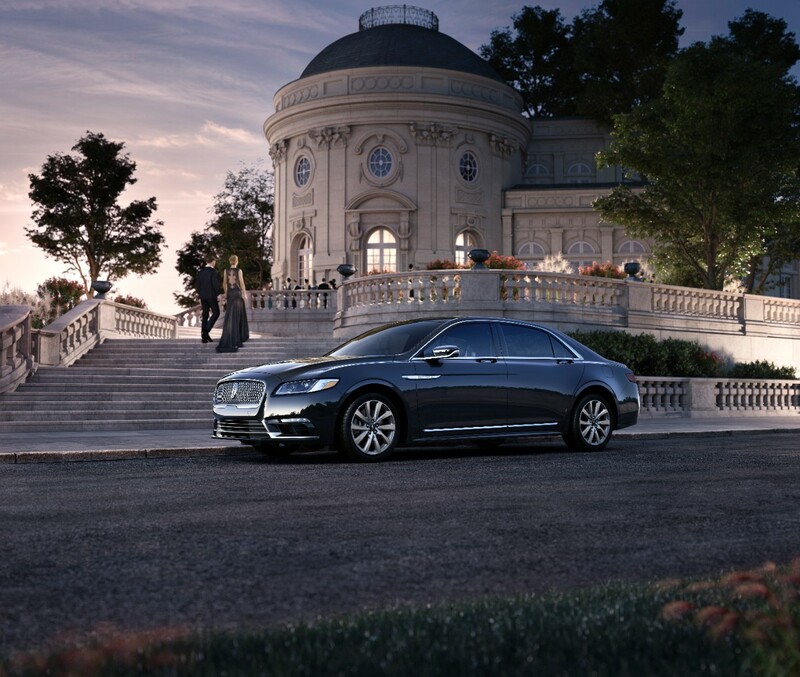 Lincoln is the only luxury automaker that provides this service as part of the vehicle's warranty. To make our experience with the car more interactive, they brought in professional automotive photographer Kevin McCauley from Houston. Kevin shoots almost exclusively with an iPhone and was eager to share some of his tips & tricks for creating amazing shots. Never one to be greedy, I am paying it forward by sharing them with you! Photo tip #2: Crop into 1/3's and have your focal point in the middle. Photo tip #3: Play with layers and textures. Have things in the forefront or behind your focal point in the shoot. Once our photo class was over, we were allowed to get behind the wheel of the all new Continental and take it out for a drive. There were a couple of features I was personally super impressed with. The first one was "adaptive cruise control." Traditional cruise control allows you to set a continuous speed and maintain it. But in today's world, when are you ever on the open road that you can set your car at 70mph and just let it go? The "adaptive" part of this Drivers-Assist Technology means that you set the speed for the road you are on, tell the car if you want it to follow 1-2-3 cars lengths behind and then let it go. It will speed up and slow down to adjust to the car in front of you without you ever touching the brake or gas pedal. Magic! It also has a great feature that allows you to set when you are in the middle of a lane. If you pick up your phone, start texting and begin to veer out of your lane due to lack of attention, the car will bump or nudge you back into your lane. Seriously safe and fabulous. Disclaimer: This post was brought to you by The Lincoln Motor Company. While I did receive compensation for authoring this post; product selections, descriptions, and opinions are my own.